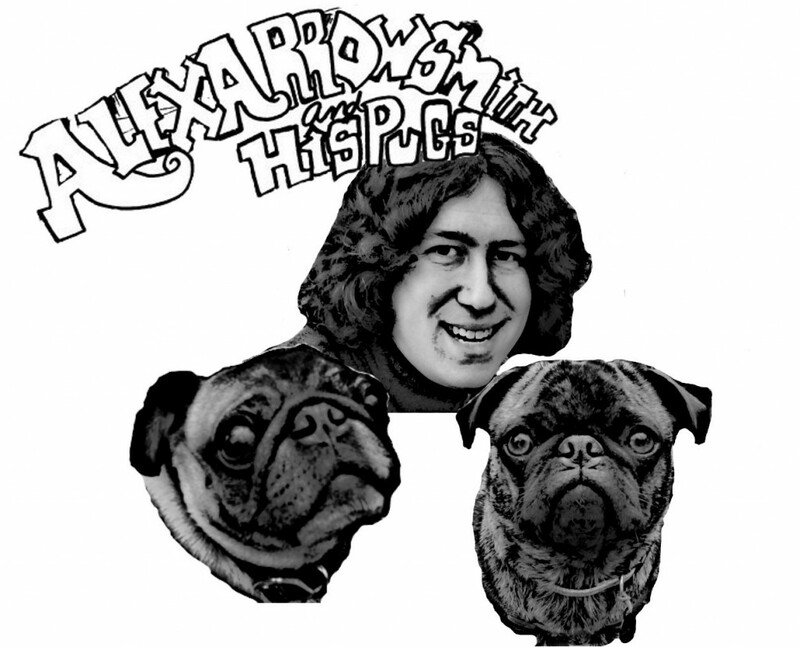 I was the drummer and backing-vocalist for Alex Arrowsmith and His Pugs at one point. I'm a huge fan of Alex' stuff because It's witty, melodic, and unique. It's not the same old cookie-cutter-hipster crap that's so popular in the Portland area. I highly suggest you check him out! His site is located here! While Alex and I were playing together as the rhythm section for one of Portland's ba-zillion hipster bands back in 2010 or so, I asked him, "Hey man, why aren't you playing your songs live with a band?" He answered, "Because I don't have a band." I quickly retorted, "I'd be in your band!" To which he answered "Prove it!" 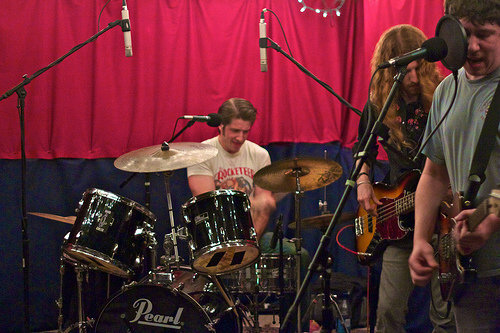 by getting our mutual buddy Mayhaw Hoons (Nick to me, since I've known him since 4th grade) to play bass guitar. Thus the pugs were made. During our brief tenure, we completed a pretty great album entitled "Real Nights" which can be bought on Itunes and CD baby. For a complete listen, go here. I contributed Drums, vocals, and saxophones.